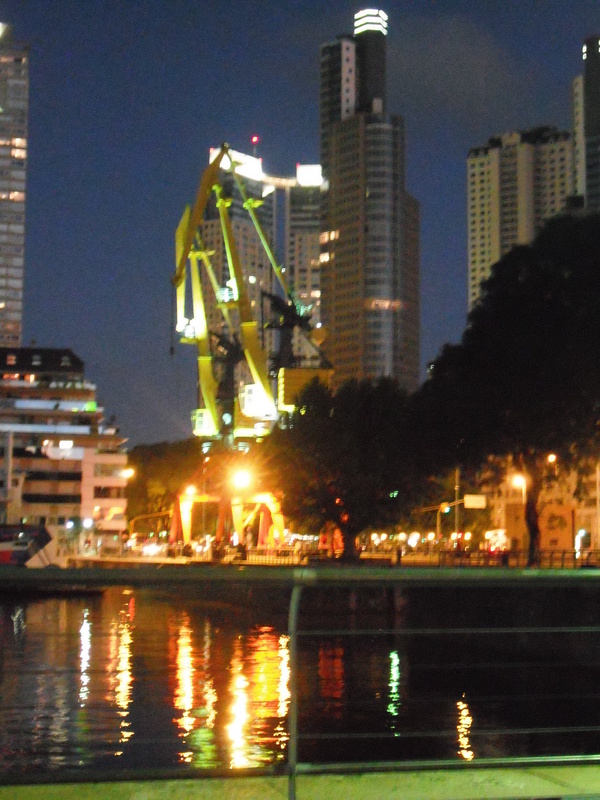 See Buenos Aires With Me! In this blog I will share with you some of the experiences I have had as I’ve made my way in the city. We’ll visit Buenos Aires’ neighborhoods, each with its own character, but all embued with the flavor–el gusto–of the city. I hope you’ll enjoy seeing the city with me as your personal guide. I invite you to join me in 2012 (January-April) for your personally designed and guided visit to the Paris of South America. My tour schedule is starting to fill! Family will be joining me for a few weeks, four Chicago area friends plan to stay awhile after their South American cruise concludes in Buenos Aires for a few days in late January, and a small group of friends are starting to consider what days in March will be perfect for their 2-week visit. Where will you be at the start of 2012? Please join me here–and in Buenos Aires! 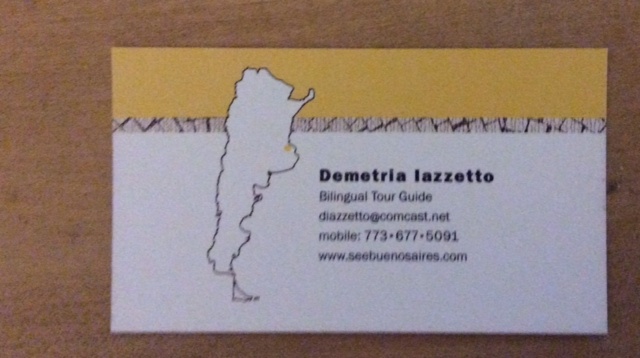 I spent a few days with Demetria and Buenos Aires last March and she is fun to be with and a wonderful tour guide! She knows all the ins and outs of BA and you never feel like a tourist with her navigating the city. I’ll be happy to follow you to Buenos Aires…Well, I’m actually here, but I’ll be delighted to read each of your experiences! There’s a lot to discover, even about your own place, so I won’t be surprised if I learn sth new from your blog. Good luck and see you soon! I can’t wait. Next January we already have a tentative itinerary. Amiga venga a visitarle a Jenero. Mi gustara mucho. Demetria, you are so passionate about Buenos Aires! You’ll be a perfect guide. I hope someday I will have a cigarette with Gardel’s statue—even if I have finally quit. I look forward to hearing about your experiences and I look forward to seeing more of your photos. I look forward to experiencing the adventures online that you experience in person. I just watch a show about Buenos Aires and it looks really cool. Hope you have a great time. Hey I can’t wait to experence your travels online.I just watched a show about Buenos.I want to see more photos of Buenos Aires because it looks really great and you take awsome pictures.I hope you have a great time. Wonderful idea DeeDee! vos ya sos una porteña! You are already a portenia. Te esperamos en Buenos Aires! I’d love to join you but I’m off to the Czech Republic next spring with my sister. I think it’s wonderful that you’re celebrating a 10th anniversary. Very tempting! I turned down a chance to visit Cuba in early 2012 because it was out of sight expensive, but I’ve never been to South America, and your offer sounds great. I just might. Thanks Maggie. I’m there Jan through April; do come visit. Airfare is costly in high season, but well worth the expense.